We know that it's difficult to find a dish that's sophisticated enough to feed the adults in your life while also keeping the kiddos happy. 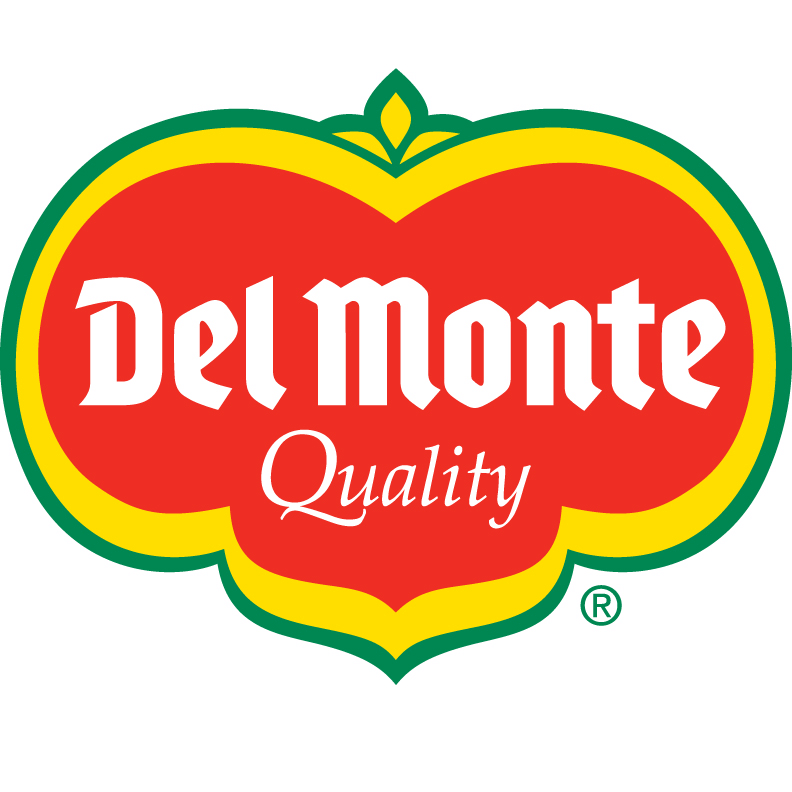 It's our goal to provide you busy parents with recipes that the whole household will love. This recipe is easy to prepare, baked in the oven, and full of fresh flavors! Behold the Southwest Guacamole Dip. While children typically love snack foods, you'll feel good serving something a little more elevated than the ole chips-n-dip standby– this recipe is a win-win in our book. Serve it up with tortilla chips or offer healthier choices by serving with slices of zucchini, celery, and cucumber. This recipe is also full of healthy veggies like black beans, corn, bell peppers, and Del Monte® Hass avocados of course! Now, let's get to it! 3. Bake for 15 minutes / until warm. 4. 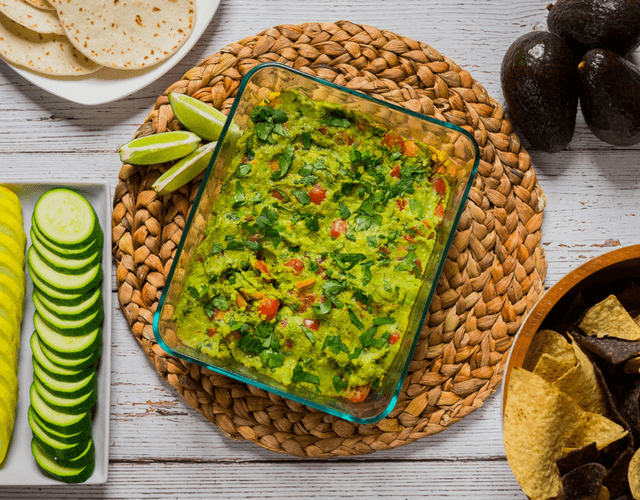 While the dip bakes, add all guacamole ingredients to a medium bowl. Using a fork, potato masher, or the bottom of a cup, mash everything together. 5. 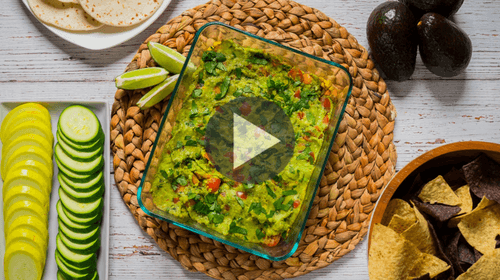 Remove from the oven and smear a generous layer of fresh guacamole on top. 6. Garnish with chopped tomatoes. Enjoy!